Installing Gravwell in a Google Compute Engine VM is exactly like installing on any other server. Simply copy the Gravwell installer file to the VM and run it. A slightly more powerful VM will yield more satisfying performance; we used n1-standard-4 (4 vCPUs, 15 GB memory) for this. Once you've booted the VM and run the installer, you can point your browser at your VM's external IP and log in with the default username/password ("admin/changeme"). Be sure to change these immediately. Before we begin ingesting from PubSub, we want to create a PubSub topic. Open the Google Cloud Platform console and under the "Big Data" section, select "PubSub". Then simply use the "Create Topic" button to make a new PubSub topic; we named ours "syslogs". This will ingest a PubSub topic "syslogs" in the project "testbench-198100" using the credentials in /opt/gravwell/etc/my-credentials.json. Note that you'll need to refer to /opt/gravwell/etc/gravwell.conf to find the appropriate Ingest-Secret value, as this is randomly set when Gravwell is installed. If you go to the Remote Ingesters tab in your Gravwell web UI's System Stats page, you should see the ingester listed. Now that Gravwell is listening, we can send some logs to the PubSub topic. 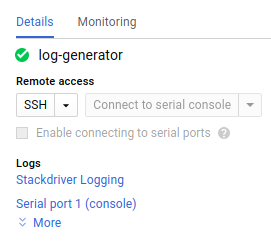 We chose to spin up a separate VM named log-generator, representing a system running some other service for your company. Gravwell in Google Cloud Platform allows you to easily aggregate and search all your data from all your VMs. 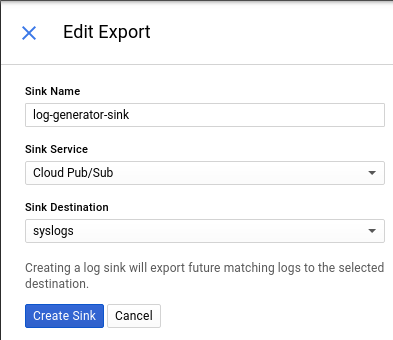 Many services and applications with GCP export via PubSub; you can use different tags to organize data within your Gravwell instance. 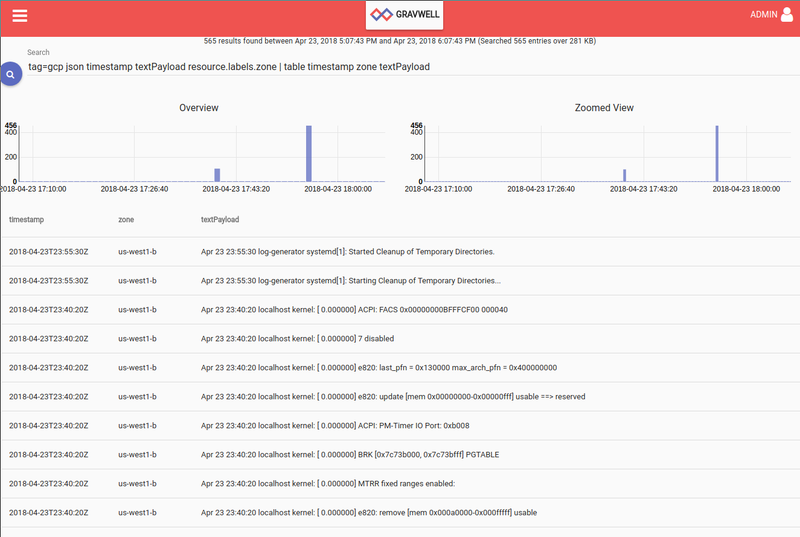 Contact us for more information about how Gravwell can help you monitor your cloud deployments!